Such a fun design! 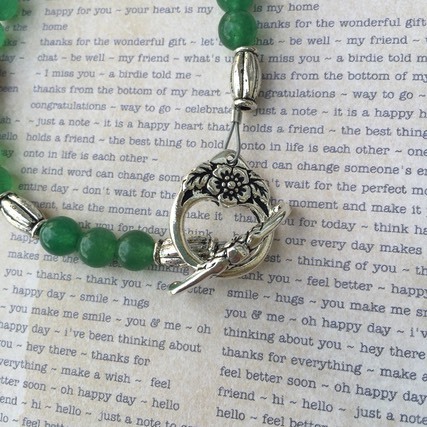 Necklace is a strand of Jade, with pewter beads. 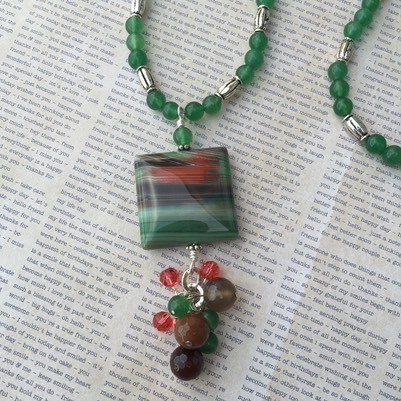 The Square multicolored pendant is Agate gemstone. 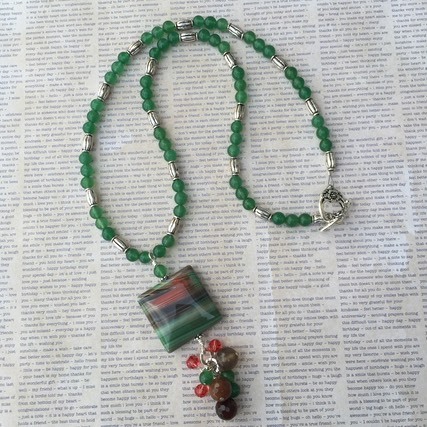 A coordinated "dangle", with green Jade, Brown faceted Jade, and SWAROVSKI crystals. Decorative flower Toggle Clasp. Square Agate in pendant measures just under 1-1/4" square. The entire Pendant grouping (from very top to bottom of the dangle) measures 3". Necklace length is 22-1/2”.